Over 1.17 crore aspirants have been trained under the National Skill Development Mission, said Minister of State (Independent Charge), Ministry of Skill Development and Entrepreneurship (MSDE) Rajiv Pratap Rudy. The minister said that MSDE has trained the aspirants under various schemes and programmes since the inception of “Skill India”. 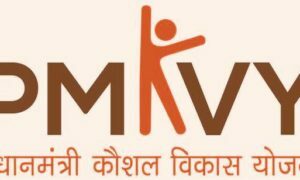 According to Rudy, more than 26.5 lakh people were trained under Pradhan Mantri Kaushal Vikas Yojana (PMKVY). The scheme was launched on July 15, 2015 and of the candidates trained under the scheme so far 50 per cent were women candidates. “It is good to see that more and more women candidates are coming forward to take up skills. Last year women participation under PMKVY was 40%. I am elated to see that we have an equal male female ratio this year cumulatively” the Minister added.